The BMW Charity Pro-Am presented by SYNNEX Corporation pairs four days of fabulous golf in the Carolinas with a field of some of the world's most talented golfers. The 2018 BMW Charity Pro-Am presented by SYNNEX Corporation takes place on May 14-20 at Thornblade Club (Greer, SC), The Cliffs Valley (Traveler's Rest, SC) and The Furman Golf Club (Greenville, SC). 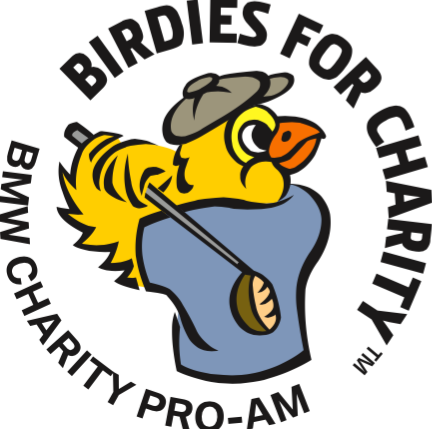 Don't forget to like the BMW Charity Pro-Am on Facebook and follow them on Twitter. This year, you can support Mobile Meals by participating in Birdies for Charity and Ticket Sales! BIRDIES FOR CHARITY is like a walk-a-thon but instead of donating per mile, you can make a pledge for every birdie made during tournament or you can make a one-time contribution. Just choose Mobile Meals as your charity of choice during the pledge process. The person who is closest to the actual number of birdies made, without going over, will win a one month lease on a BMW and (4) BMW Performance Center Driving Experiences! TICKET SALES will also benefit Mobile Meals. When purchasing tickets online, be sure to select Mobile Meals as your preferred charity. 100% of all pledges and sales directly benefit Mobile Meals! For questions, please contact Susan Spires or Emily Collins at 864-573-7684.